Often claimants need help to pay for the necessities of life while their case progresses. SMP offers advance funding financial assistance to individuals while they are awaiting resolution of their claims. We provide a free lawsuit loan case evaluation to determine our level of investment in your case. There are no credit checks, no monthly payments, no employment verification and no collateral held. The lawsuit loans we provide are oftentimes worry free. Oftentimes, insurance companies use delaying tactics to wear down injured litigants in order to settle cases at a value much lower than the case is worth. SMP can level the playing field by providing lawsuit loans for those car payments, utility bills, etc. and thus make it possible for you to achieve in settlement what your case is really worth and not a penny less. The lawsuit loan application process is simple and once your attorney provides us with certain documents a decision on your lawsuit settlement advance is made. Before we begin with your case we have prepared a short summary question and answer session on the lawsuit cash advance application process. If you still have a question about our lawsuit loans feel free to phone us toll free. Our lawsuit loan service is best utilized for certain types of legal cases. However, when you are injured sorting out legal counsel and insurance claims is secondary to paying bills and maintaining your life. At SMP Advance we can provide you with attorneys that specialize in your type of case and who know the nuances and deadlines that apply. The added benefit is that the attorneys we suggest work with us on your settlement cash advance. SMP is licensed by the Illinois Department of Financial Institutions to provide loans on lawsuits. We will work quickly and professionally to help you get the lawsuit loan that you need now and allow your attorneys the time they need to resolve your case for its proper value. CALL 888-578-2566 OR COMPLETE OUR ONLINE SETTLEMENT CASH ADVANCE APPLICATION. OR FAX US AT 888-519-4570. 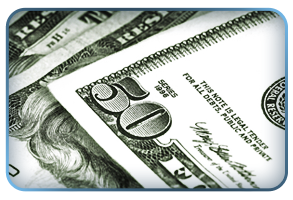 Get immediate cash advances for your pending lawsuit or claim. Don't settle your case early due to personal financial issues. Hold out for the settlement you deserve! Protect your Credit. Find out How it Works! © Copyright 2017 - SMP Advance Funding, LLC. All rights reserved.